A super charger!! 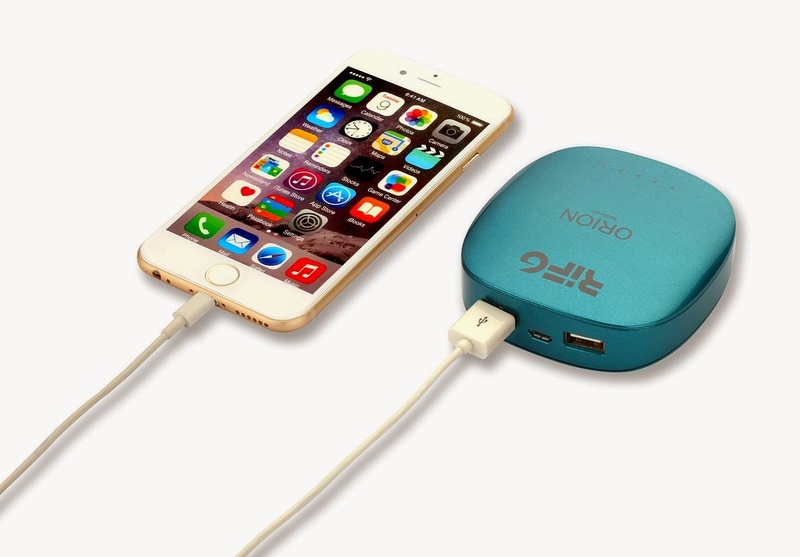 This power bank charger is a must have. It is easy to use and is very portable.SLIDING TOUCH AND LED POWER INDICATORS. Unique sliding touch control to turn the Power Bank ON/OFF including 4 LED power indicators. I have a few Power Bank Portable chargers and this one at 6000mAh is powerful. One of the features that I like the most is its high capacity dual charge so that you can charge two devices at the same time. The size of this power bank as well is an appropriate size. It can easily fit into your purse, backpack etc. To charge the product, simply plug the micro USB into the middle port on the front of the box. To charge your device, simply plug usb cord into the 1a or 2a slot. Instructions were very simple to follow and my phone and IPad was charging in a couple of minutes. The color and shimmer is so nice everyone has complemented on it!! "I did receive this product complimentary in exchange for my honest, unbiased review.